Best smartphone this 2017 year. This phone is My favorite phone of 2017. Other than no headphone jack I see no compromise. Great looking phone and it'll surely get insane battery life. I just wish it had a blue version. HTC really listen to their fanboys and released a superb phone. The features of this phone are excellent but no headphone jack was only a difficult to digest. 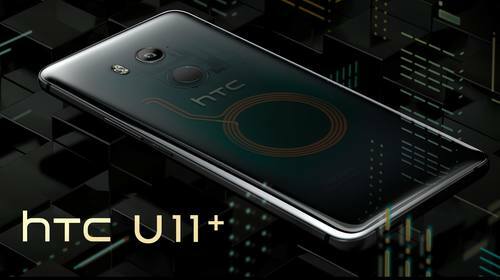 Watching this tiresome video introduction of all the sub HTC U11+ or U11life +Life Life + Plus Life ... aaargh. Just shows where the team from HTC went wrong. Too many devices, too many launched at the same time. 2 ... that's all you need: Small & Big. - software can be catered to any market. - less manufacturing, R&D, and suppport cost structures. - faster OS aug deployment time for future updates.